Acne is a condition of the skin where the pilosebaceous unit (or “pores”) become clogged, eventually developing into whiteheads, blackheads, pimples and deeper nodules and cysts. Acne most often involves the face, neck, chest, back. Acne is not only limited to teenage years, but can be a common and often frustrating problem in adulthood as well. Acne can result in scars which can also be quite bothersome. There are many treatments for acne, including prescription topical creams, oral antibiotics, birth control pills or other hormonal medications, chemical peels, laser treatments. Often, a combination of treatment methods will be used to achieve the best results. Read our blog post one of our patient’s personal experience with Isotrentinoin (formerly known as Accutane). 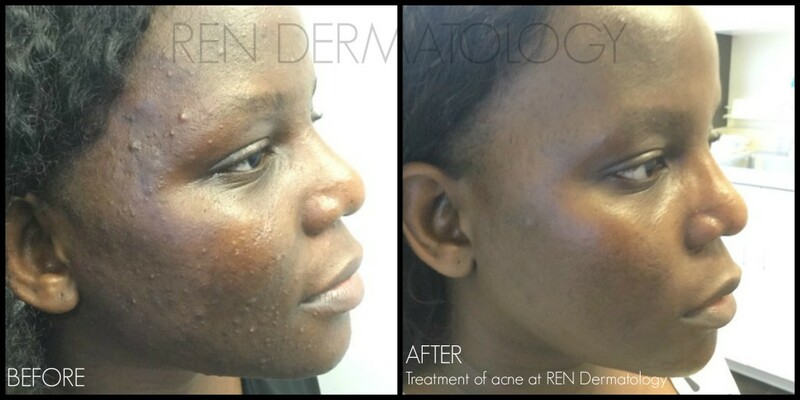 At REN Dermatology, we are experts at diagnosing and treating acne. 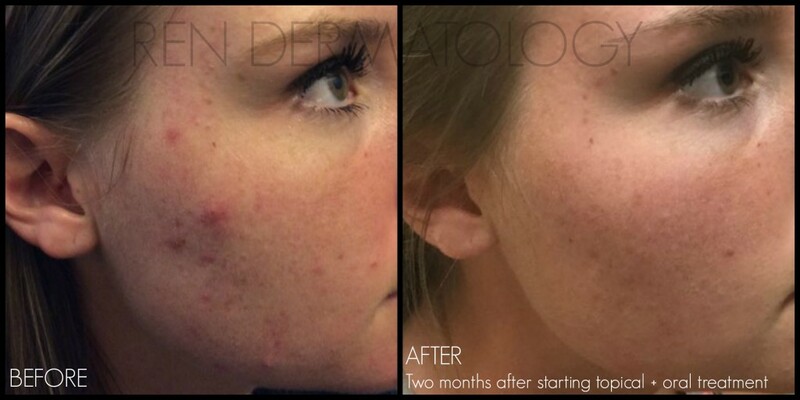 Our doctors have advanced specialty training in appropriately treating acne in a safe and effective way. There are numerous treatment options on the market for acne, and we can help you customize a treatment plan that will achieve clear skin. We are well-aware of how frustrating acne is, and we think it’s important not to delay therapy. We can also help recommend appropriate cleansers, products, moisturizers and make-up to help optimize your acne treatments. We treat patients of all ages who struggle with acne, from pre-teens to teenagers, as well as adults.